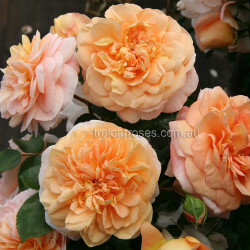 (Kormamtiza) - A very profuse flowering floribunda with a compact growth habit. 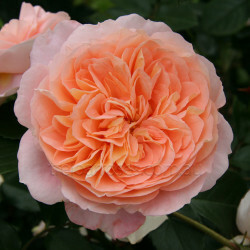 Clusters of large fully double flowers have an old fashioned appearance in soft apricot that changes to pink as the flowers open. With a sweet moderate fragrance and excellent disease resistance.